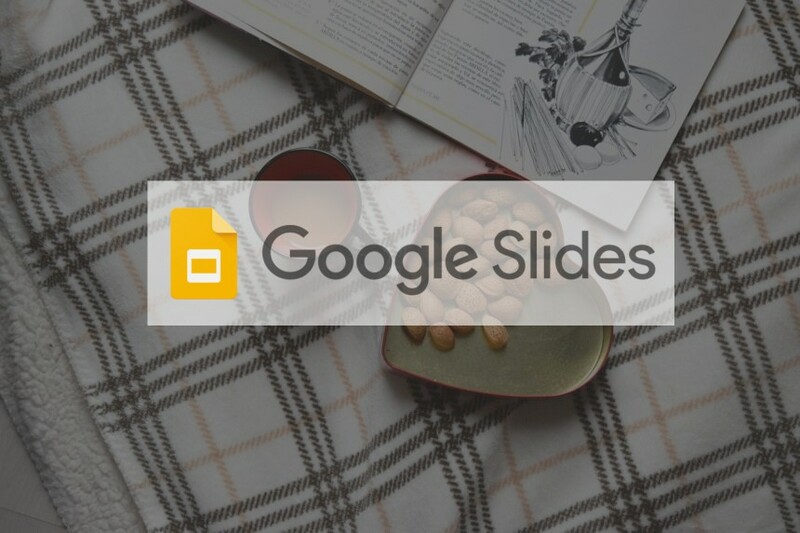 If you frequently create presentation using an online presentation maker, chances are you once use Google Slides. Or do you a regular user of it? Google Slides is a good replacement if you are looking for a Microsoft PowerPoint-like online tool. The only downside of Google Slides is that it doesn’t offer image library. Whereas, other online presentation makers like Visme and Canva come with a very abundant of image library. 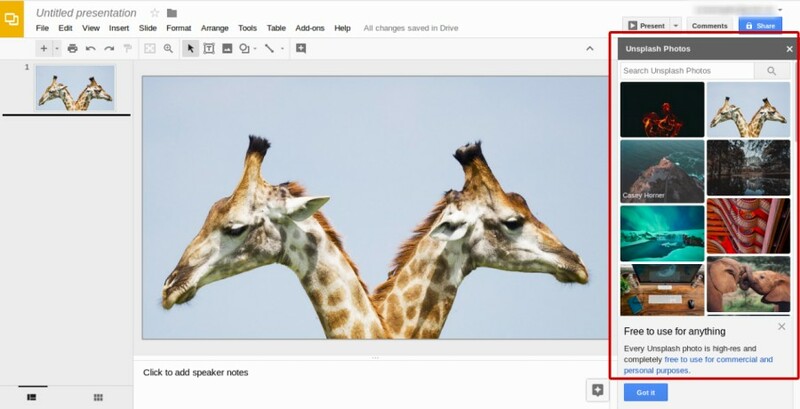 The good news is, you can use add-on developed by third parties to fulfill your need of imagery when creating a presentation using Google Slides. Recently, Unsplash have just released a Google Slides add-on which enables you to insert certain images directly from Unsplash without having to download the images first. Once you install the add-on and launch it, a sidebar full of images will appear. All you need to do to insert image is just click the image you want and the image will be taken to the slide you are working on. There is also a handy search box to ease your job in finding the image you need. Here is how to install and use the add-on. Login to Google Slides and create new presentation (or edit the existing one). On the menu bar, select Add-ons –> Get Add-ons. Search for Unsplash on the search box (or simply visit this page). Once you found it, click the FREE button to install it on Google Slides. To use this add-on return to the Add-ons menu on the menu bar and select Unsplash Photos –> Insert an Unsplash Photo. Select the photos you need on the sidebar. To insert a photo simply the photo you want. You can also use the search box to find the photos you need.